Copyrights, Trademarks and Other Proprietary Rights. You understand that TCR² and its licensors retain all ownership rights in this Site (including all content). All trademarks, service marks, and trade names are owned by TCR²or other respective owners. The entire content of this Site, and this Site, including, but not limited to, text, design, software, photography, video, graphics, sound, information and the selection, coordination, arrangement, and enhancement thereof, is protected under the copyright laws of the United States of America, international treaties and other intellectual property laws (including without limitation the copyright in the selection, coordination, arrangement and enhancement of all content). This Site may contain or reference patents, technologies, products, or other proprietary rights of TCR², its third-party vendors, and other third parties. Nothing on this Site should be construed as conferring by implication, estoppel or otherwise any license or right under any trademarks, copyrights, patents, technologies, products, or other proprietary rights of TCR², any of its third-party vendors, or other third parties. Forward-Looking Statements. This website contains express or implied forward-looking statements, which are based on current expectations of management. These statements relate to, among other things, our expectations regarding management’s plans, objectives, and strategies. These statements are neither promises nor guarantees, but are subject to a variety of risks and uncertainties, many of which are beyond our control, and which could cause actual results to differ materially from those contemplated in these forward-looking statements. TCR² assumes no obligation to update any forward-looking statements appearing on this website in the event of changing circumstances or otherwise, and such statements are current only as of the date they are made. Updates. TCR² may make improvements and/or changes to this website at any time. Although we attempt to periodically update information on this website, the information, materials and services provided on or through this website may occasionally be inaccurate, incomplete or out of date. TCR² does not have a duty to update information contained in this website, and TCR² will not be liable for any failure to update such information. We make no representation as to the completeness, accuracy or currentness of any information on this website, and we undertake no obligation to update or revise the information contained on this website, whether as a result of new information, future events or circumstances or otherwise. It is your responsibility to verify any information contained in this website before relying upon it. Links. This website may contain links to websites operated by other parties.  The linked sites are not under the control of TCR², and TCR² is not responsible for the content available on any other Internet sites linked to this website. Such links do not imply TCR²’s endorsement of material on any other site, and TCR² disclaims all liability with regard to your access to such linked websites. TCR² provides links to other Internet sites as a convenience to users, and access to any other Internet sites linked to this website is at your own risk. Medical Advice. The content on this website is intended to be a general information resource in regard to the subject matter covered. TCR² does not directly or indirectly practice medicine, render medical advice, or dispense medical services via this website, and nothing contained in this website is intended to be instruction for medical diagnosis or treatment. Any information provided should not be considered complete, nor should it be relied on to suggest a course of treatment for a particular individual. Information received from this website should not be relied upon for personal, medical, legal, technical, or financial decisions. It should not be used in place of a visit, call, consultation or the advice of your physician or other qualified healthcare provider. Should you have any healthcare related questions, please consult with your physician or other qualified healthcare provider promptly. Indemnity. You agree to indemnify, defend and hold harmless TCR², its officers, directors, employees, agents and affiliates from and against all losses, expenses, damages and costs, including reasonable attorneys’ fees, arising out of or relating to any violation of these Terms or any activity related to use of the Site (including but not limited to infringement of third parties’ worldwide intellectual property rights or negligent or wrongful conduct) by you or any other person accessing the Site on your behalf. Privacy. We do not collect personally identifying information from visitors to our Site unless you voluntarily decide to provide it to us through one of the provided e-mail addresses. Visitors are invited to make inquiries about TCR² and our research, or to inquire about job opportunities. We will use the information you provide us in those communications to respond to your inquiry, but will not use or disclose it in any other way without your express consent, except to contractors or service providers who may provide services or perform functions on our behalf – for example, an information technology service provider or human resources consultant. Those contractors and service providers are permitted to use your personal information only for the purpose for which it has been provided and may not disclose it to any other third party except at our express direction and consistently with this paragraph. This paragraph applies only to information collected from visitors through our Site and not to personal information that TCR² may collect in its research or through any off-line or other activities.